Our web designers have the creative talent to appeal to your sense of style, the training and knowledge of current web development standards and practices, and the ability to turn your ideas into reality! 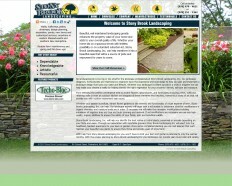 Well-organized, functional websites that get results. Whatever your reason for contemplating a Web design, you have results in mind. Increased sales conversions, better brand positioning, increased donations, increased engagement. Or maybe your existing website just makes you cringe. Whatever your reasons might be, can we help? Our clients range from small start-up companies needing a basic web design to large corporations requiring complex web applications. We invite you to review our website design portfolio and read our client testimonials. If you feel that we are the right choice for your design project, please request a no cost, no obligation quote today!